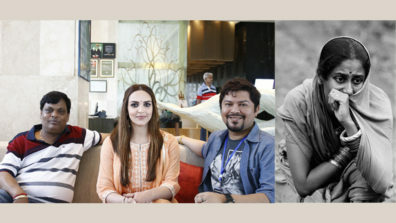 Smile Foundation, a national level development organization, has recently joined hands with Ram Kamal Mukherjee’s directorial debut – “Cakewalk” – a film that revolves around the life of an independent woman and pledged support for the cause of “She Can Fly “- an initiative by Smile Foundation to enable, equip and empower girl children with quality education, proper nutrition, good health, adequate skills, and above all a lot of self-confidence to help them live their lives to their fullest potential. The initiative also focuses on to sensitize the society on the importance of education for the girl child. 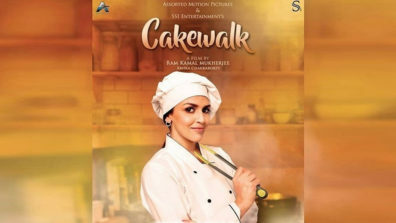 Ram Kamal Mukherjee and Abhra Chakraborty’s directorial venture “Cakewalk” has created massive buzz in London with the grand poster launch which also marks Esha Deol Takhtani’s comeback in Bollywood after marriage and motherhood. Produced under the banner of Assorted Motion Pictures and SS1 Entertainment, the film revolves around the journey of an independent woman Shilpa Sen played by Esha. 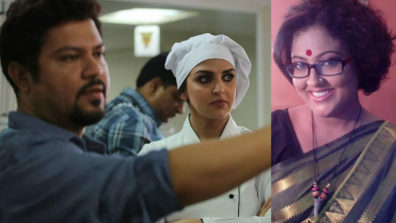 Written by Ram Kamal Mukherjee, the film also stars Tarun Malhotra and Anindita Bose in pivotal role. 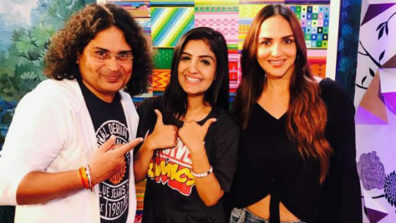 The music of the film has been composed by Shailendra Sayanti and the song has been rendered by debutante singer Rupali Jagga. 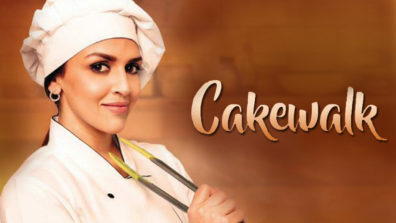 Speaking on this occasion, an extremely delighted Esha Deol Takhtani says, “I am very happy that Smile Foundation will be associated with our film Cakewalk. I agreed to do this film because Ram Kamal is trying to address an issue in a subtle way in this short film. 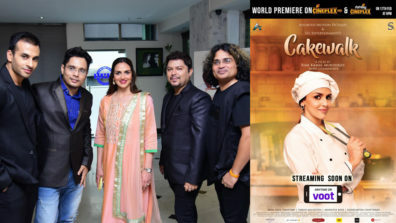 I think Smile’s ‘She Can Fly’ is the perfect platform to talk about Shilpa Sen and her journey.” The film is produced by Dinesh Gupta, Shailendra Kumar and Aritra Das. “A girl child comes into this world with just as many expectations, dreams and aspiration as a boy, but soon finds out that her way towards achieving them is much more challenging. She aims to fly high, but her wings are cut by the ruthlessly unjust gender bias that our society is ridden with. Through this association, we want to sensetize the civil society about the cause and partner them in the process of empowering, educating and making our girl child stronger, to stand her own ground. ” Said Mr. Sanjeev Dham, COO, Smile Foundation. “I always wanted to tell a story, it was just a matter of time,” says Ram Kamal. “It was actually Esha who inspired me to direct the film,” he added. The story and screenplay has been penned by Ram Kamal. 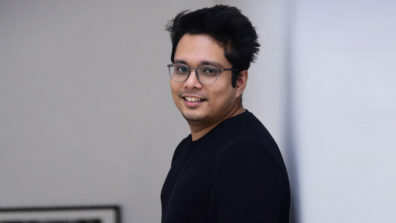 The film will be co-directed by Abhra Chakraborty, who assisted National Award winning Bengali director Bappaditya Bandhopadhya in Elar Chaar Adhyay. Speaking about his corroboration with Ram Kamal, co-director Abhra says, “I have heard about dada (Ram Kamal) from Bappada. After Bappada’s sudden demise when I suddenly got a call from him to collaborate on a Hindi film, I immediately agreed,” says Abhra. He feels that it Esha will be seen in a complete new avatar, and that would be refreshing. Former editor of Stardust film magazine, Ram Kamal worked with Pritish Nandy and Rangita Nandy in almost 12 films. Later he co-produced TV series Bin Kuch Kahe with filmmaker Rajshree Ojha. Last year he released his authorized biography Hema Malini: Beyond The Dreamgirl with Harper Collins. 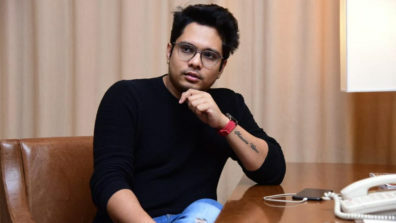 Produced by Dinesh Gupta, Shailendra Kumar and Aritra Das, under the banner of Assorted Motion Pictures and S S One Entertainments, the film will also introduce model turned television actor Tarun Malhotra as the male lead. “I met Tarun during my Stardust days, and since then I have seen his growth as a talent. He has worked with filmmakers like Pradeep Sarkar and Gaurie Shinde in commercials and played antagonist in Jaanbaz Sindabad in Zee TV. I wanted someone who can look young and matured at the same time,” reveals Ram Kamal.